“We wore brown leather,” my Mom used to say. 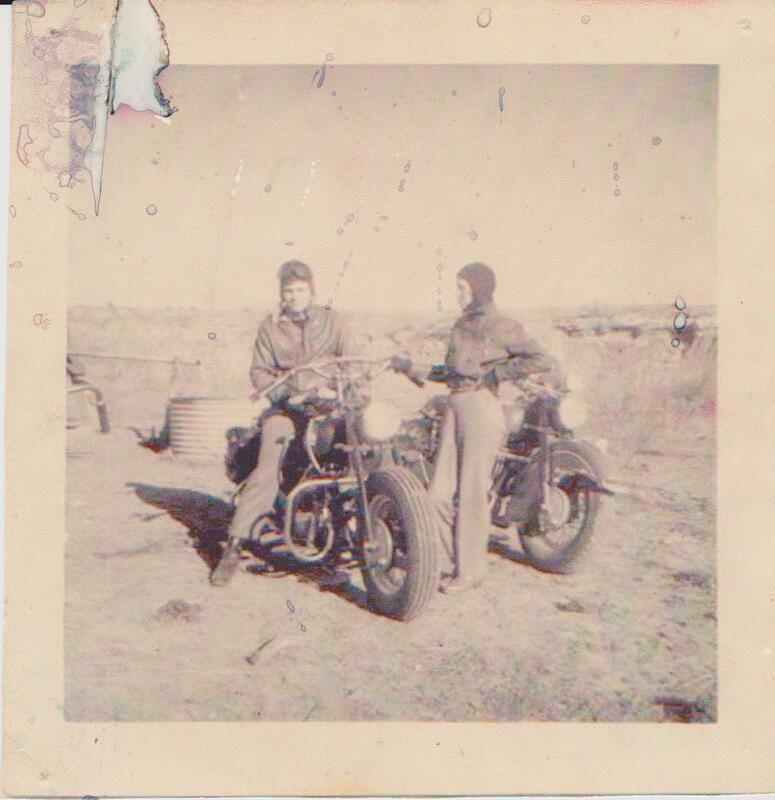 “We rode Indians or Triumphs, and we wore brown leather.” So many times I’ve sat and listened to the stories my Mom would tell me about how she and my dad would ride with their group–family or friends–way back in the 40’s. Those motorcycles (pronounced motor sickles according to my Mom) were classics; the style likely to have inspired the Royal Enfields of today. So it looks like we’ll soon be on our way; on the road to another path in our lives. These past few days have been crazy—these past few months have been bittersweet. It seems we have mixed feelings about leaving this place we’ve been so happy to call home for too-short-a-time. We’ve met some really good people, made some wonderful new friends; we will miss them…each and every one. My heart hurts to think we will not see their smiling faces for an unknown length of time…if ever. Such is life; you have to take the good with the bad; when one door closes…another opens, so it goes. Still, we are excited to venture out to another chapter in this saga we know as ‘life’. I look over to see my husband digging through a mound of the stuff we are still stuck with; the things we had in storage, the things we cannot let go of, the things no one wanted to take off our hands for the measly dollars we were asking at our sale. In no way was it a re-play of our sale we had a few years back at our rock house; the last time we sold it all. No…this time, we’ll just have to load it all into this humongous truck we rented, and sell it when we get to a stopping point. As for Peniki, her tired old engine will get a rest this trip and tag along safely strapped onto a car-hauler. 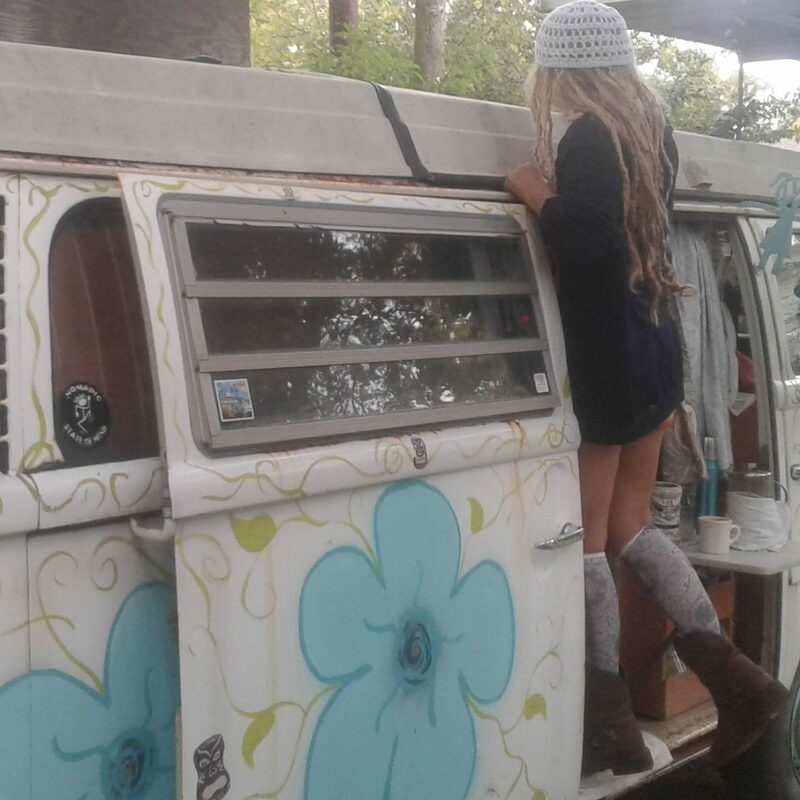 She’ll need an engine rebuild before she is ready to go on any cross-country stretch again. But when it comes to her outer appearance, well…I’m very proud of Nico for getting her looking good again; the primer finish is a beautiful bright white, often being mistaken for the finished paint job. The paint finish will have to wait until we have more money to do more work…another day or week…or month. I guess we’ll see.